Do you want to add some fun and music to your next campaign? Try custom horns/kazoos! 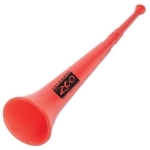 You can easily attract attention at corporate meetings, trade shows, company outings, sales meetings, store openings, theme parks, fundraisers and other sporting events by giving away these promotional horns or kazoos. These musical instruments are great for any kind of business that wants to invest in unique and memorable promotional gifts. The results will be melodious sales figures and easy attention! Doesn't that sound impressive? Order this high quality, lightweight and affordable promotional kazoos and horns today from Promo4kids.com. Avail benefits of fast shipping, fast production and lowest price match guarantee. All our promotional giveaways for kids are covered with 100% customer satisfaction guarantee. 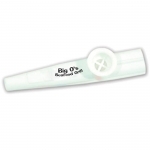 Custom Printed Kazoos will Make a Big Noise while Marketing Your Brand! As you know, there will be lots of trade show vendors attending the next event and making a difference is becoming a hard task at the budget you are operating. What to do? As you see flyers, pens, pencils, notepads and other low budget promotional items flying everywhere, why don't you attempt to make some noise without annoying anyone? 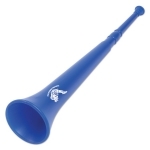 To accomplish that attention grabbing feat you will require any of our custom printed kazoos or horns. Do you know what the best thing is about these musical instruments apart from the fact that they are kid-friendly, affordable and adorable? They don't demand any musical capability to sound perfect. You just let your customers hum something at one end and listen to the music at the other end. Kids will enjoy playing with these musical instruments for several hours and they will boast about it with their friends, too. 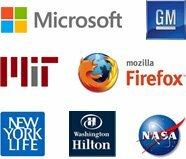 In short, you can earn good promotional mileage without wasting any effort or investing a lot of money. Logo printed kazoos and horns are fun items that kids will use always. 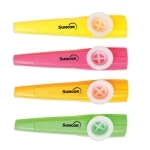 These great kazoos are available in various colors that will make your brand logo noticeable when printed on it. Kazoos will help to start a buzz about your company or brand logo and they will make people take note of your business, organization or cause. An ideal giveaway for day care centers, banks, zoos, holiday destinations, local music studio, charitable art project and kid-friendly businesses. Impressive than paper business cards and really act as one! It doesn't matter whether you are ordering these kazoos to gift at birthday parties or promotional events; they are sure to add some noise to your campaign, attract crowd attention and make your brand get easily noticed. Know more about the promotional advantages of selecting custom printed kazoos for your business. 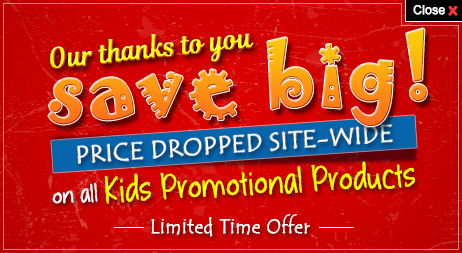 Get in touch with our customer support team at 855-454-3786 or mail at info@promo4kids.com.